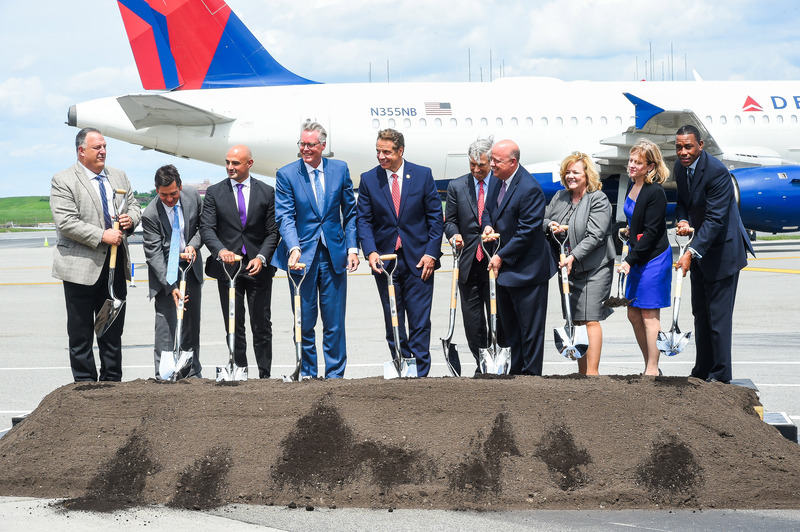 NEW YORK — Delta today broke ground on its $4 billion, 37-gate facility at LaGuardia Airport, a major component of the transformation of the vital hub into a completely rebuilt, unified 21st-century airport. 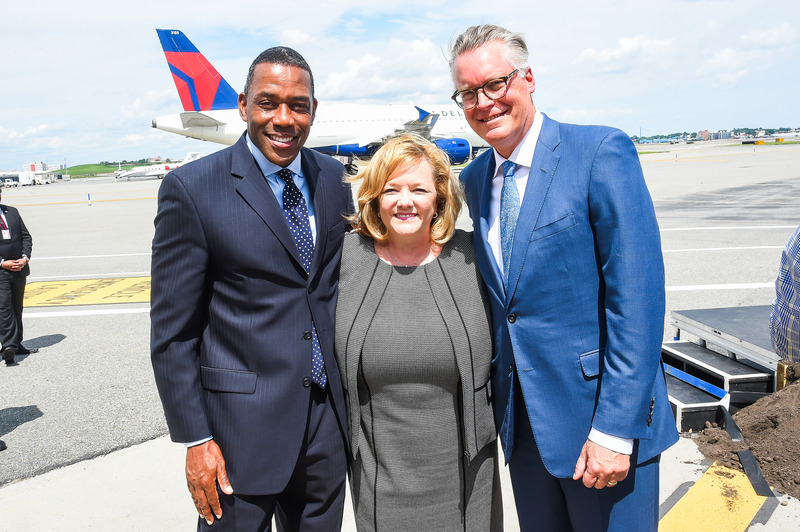 Delta CEO Ed Bastian joined New York Gov. Andrew M. Cuomo, incoming Executive Director of the Port Authority of New York & New Jersey Rick Cotton, Queens Borough President Melinda Katz, and other dignitaries for a press conference and groundbreaking to mark Delta’s largest airport investment in its history. “LaGuardia is a pillar of New York's transportation network and a key driver of economic growth," Cuomo said in a release. "The groundbreaking at Delta's facilities represents another step forward as we build an entirely new airport at LaGuardia. Together with our private-sector partners, we are making rapid progress to create the world-class gateway to the Empire State that New Yorkers deserve." Delta’s new state-of-the-art terminal will feature four concourses with 37 flexibly sized gates that can accommodate Delta's full fleet; a new, larger Delta Sky Club with a Sky Deck; new hold rooms with more seating; 30 percent more concessions space; and sustainable and scalable technology befitting of an airport of the future. Delta’s new facility builds on the more than $2 billion the airline has already invested into New York airports over the past seven years and underscores its commitment to LaGuardia, to New York and to providing its customers and employees at LaGuardia and across the state with a world-class experience at one of the airline’s most important hubs. 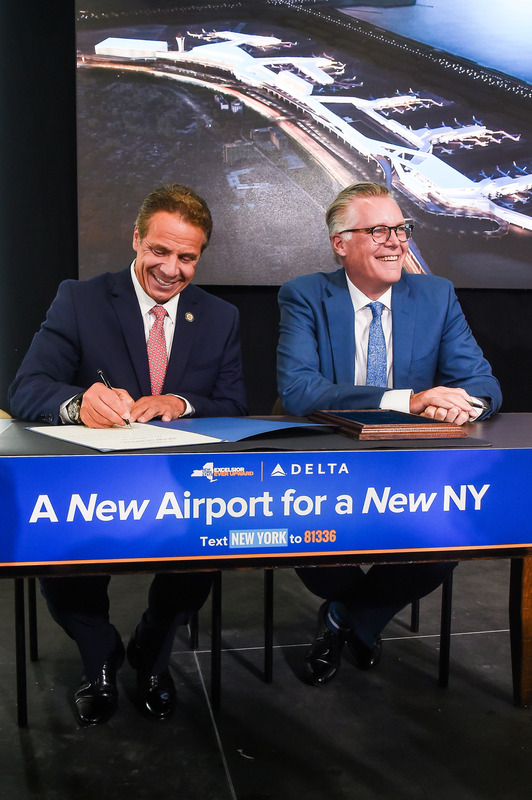 The Delta project is part of the overall LaGuardia Airport redevelopment effort that broke ground in June 2016 on the new roadway configuration and on the LaGuardia Gateway Partners passenger terminal concourses on the western half of the new airport. The Port Authority approved Delta’s lease agreement last month. The airline will provide $3.4 billion toward the project, one of the largest private investments in a public asset in New York state.